The email address of the contact the proposal is being sent to may have been misspelt. The email address of the contact may have changed. The email server that the recipient is using might be offline temporarily. 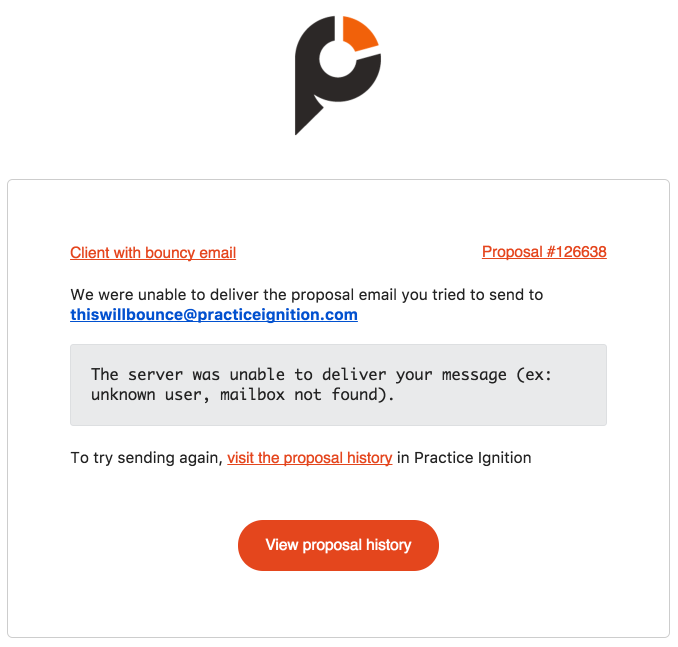 Click the "View proposal history" button in the email, and you'll be taken to the history for the appropriate proposal in Practice Ignition. If you think the problem is related to the contact email address, you can edit the client and update the appropriate email from here. Clicking "Re-send now" will attempt to deliver the proposal email again. In the event that the email still can't be delivered, you'll receive another email notification.